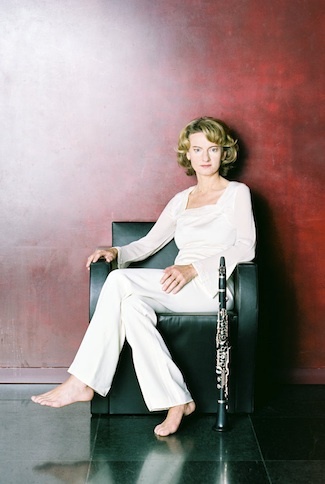 Born in Crailsheim, she studied with Otto Hermann in Stuttgart and Hans Deinzer in Hanover, then embarked on a career as an orchestral musician and became member of the Symphonieorchester des Bayerischen Rundfunks. This was followed by an engagement as solo clarinettist at the Berliner Philharmoniker which she abandoned, as she was more and more in demand as a soloist. For almost a quarter of a century, numerous concerts and broadcast engagements led her to all musical centres of Europe, to North America, Japan and China and Australia. Fascinosa Meyer, la clarinettista che stregò Karajan.